With the dust just now settling on the recent moves by the Dodgers, it seems as appropriate a time as any to see what others are saying about the team inking Kenley Jansen, Justin Turner, and Rich Hill to contracts. While we at Dodgers Digest have already given our opinion on the trio of deals (KJ/JT/RH), and despite our takes obviously being the only ones you’ll ever need to pay attention to, other perspectives are always nice to get as well. Tackling the Dodgers, in general, is Jeff Passan of Yahoo! Sports, who hypes the Dodgers as a burgeoning superteam. Seeing as mutually assured destruction isn’t something worth betting on, it’s a good thing that second prism casts a rainbow for the Dodgers. Because that something – it exists. It is Corey Seager. It is Julio Urias. 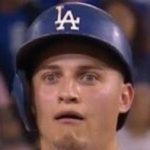 It is Cody Bellinger and Alex Verdugo and Willie Calhoun, Yadier Alvarez and Jose De Leon and Walker Buehler, Yusniel Diaz and Austin Barnes and Brock Stewart and Chase De Jong and Josh Sborz and Trevor Oaks and holy hell is it scary when the deepest farm system in all of baseball belongs to the team that’s also going to carry a quarter-billion-dollar payroll this season. When Friedman and Zaidi joined the Dodgers in the offseason after 2014, they didn’t bring with them some sort of small-market juju. There was actual substance to their approach: go piecemeal for a short while until the development system in which they have invested as much as any team turns into a talent spigot that won’t stop. The problem with the bloated Yankees of the 2000s and into this decade wasn’t all their bad contracts. It was that the team developed next to no talent alongside it. The Dodgers are sprinting past the luxury tax – again – with the countenance of a shrug emoji. Cost of doing business. Price to pay. Etc. Scary as that may be, it should pale compared to them two years from now. These Dodgers are the ones who go to the club and buy bottles. The next generation of the Dodgers own the club, the liquor distributorship and have designs on anything and everything in their path. I hope he’s right, obviously. However, the problem is that no matter how well your plans are laid, it doesn’t guarantee a thing. That’s especially true when it comes to counting on prospects to hit rather than miss. Ken Rosenthal of Fox Sports thinks the Dodgers did the right thing in just spending money. The bottom line is that the Dodgers continue to play the system as they should, using their wealth to obtain the major leaguers they need while incorporating prospects from a farm system they have built into one of the game’s best. This time, the Dodgers weren’t about to finish third. Dylan Hernandez of the Los Angeles Times praised the front office for finally caving and doing stupid stuff. In their third off-season with Andrew Friedman as the head of baseball operations, the Dodgers are finally smart enough to do something stupid. There was a feeling the Dodgers became lesser versions of themselves in each of the last two off-seasons, when they lost the likes of Greinke, Hanley Ramirez and Matt Kemp. That won’t be the case this year. If anything, they are now a move or two away from an improved roster. …is citing the loss of those players supposed to support the point? That trio has combined for about 4 WAR and has been paid about $120 million so far since they left the Dodgers. If anything, that makes me have second thoughts. Kenley Jansen is the big man in the Dodgers bullpen and he got paid the most out of the trio. Jeff Sullivan of FanGraphs looked at why that might end up being the right idea. While understandably cautious about reliever contracts, he thinks Kenley has what it takes to potentially buck the trend. Why might Jansen age pretty well? He has yet to lose any velocity. He has yet to have any elbow problems, and his shoulder hasn’t barked since 2011. In theory, teams are now better than ever about knowing how their players are doing physically. Jansen, then, will be closely monitored. And there’s the whole thing about his background. Jansen used to be a catcher, and he didn’t pitch before he was 21. That saved him from untold wear and tear, wear and tear that can catch up to an ordinary pitcher. Troy Percival was a catcher, and he started pitching at 21. He held out, physically, until his mid-30s. On the other hand, Jason Motte was a catcher who started pitching at 24. He missed his entire age-31 season. There’s no eliminating the risk. There’s always going to be risk. The player pool comprises 302 pitchers. Only one has thrown a higher rate of pitches in the zone. Only two have yielded a lower contact rate on would-be strikes. No one has had a higher overall strike rate. Two pitchers score better by adjusted FIP. And no one’s repertoire has been more simple. Jansen has thrown that cutter 93% of the time. And his cutter is really just a four-seamer that he very subtly manipulates. Jansen, in short, gets the ball, and he grips it the same way over and over. Then he throws some kind of high strike, and the hitter frequently misses it. There’s been no sign of the league catching up. Jansen was maybe just more dominant than ever. This is all he is. I can’t know what’s going to actually happen. I don’t think all the big free-agent closers are going to keep it together for the medium-term future. Something bad will happen to someone, or someones, and that’ll cause observers to once again question the team investment. It’s going to take a while before we can have an honest evaluation of whether the market right now is just nuts. At the very least, though, this is what we can say: Kenley Jansen, up until now, has been exceptionally fantastic, with an exceptionally simple approach. For 2017, he should again be amazing, and he should make the Dodgers a few wins better. They couldn’t really afford to lose him. They could afford to keep him. And so continues the National League arms race. It looks like it could again come down to the Cubs and the Dodgers, with the Nationals trying to reach the same level. Good luck to them, because the first two are setting a near-impossible bar. This is similar to my justification for investing four or five years in him despite the past history. It’s sound logic. That said, the road is littered with deals that were done under sound logic but imploded because reliever volatility and injury. Jay Jaffe of Sports Illustrated also has concerns but appears to get the rationale. Sixteen million dollars a year is a whole lot for a closer, mainly due to the injury risk and year-to-year variance in performance for most relievers across a limited number of innings. At the going rate of $7–8 million per Win Above Replacement, the annual salary isn’t entirely out of line, but such a salary incorporates no likelihood of regression or injury. Jansen, as good as he’s been, has averaged 1.8 WAR over the past five seasons; a similar performance would basically make the deal a win, but any significant injury or dropoff in performance could make it look terrible. All of which is to say that the Dodgers paid a premium to retain a pitcher with whom they’re particularly comfortable. Still, the current regime has committed to keeping together a core that for the second time in four years played to the sixth game of the NLCS before bowing out. The message is clear: So long as their window to win a championship remains open, the Dodgers will spend top dollar in an attempt to make it a reality. Emma Baccellieri of Baseball Prospectus noted that the Dodgers arguably got the best reliever available despite what the contracts doled out might indicate. As a bonus, Eric Stephen of True Blue LA transcribed an interview Kenley’s agent Adam Katz did with MLB Network Radio, and Katz reveals that Kenley’s mind was swayed when JT, Yasiel Puig, and Scott Van Slyke showed up at his wedding. Katz explained that at the beginning of the offseason his instructions from Jansen were to find the best deal on the open market, to “extract best position,” as Katz put it. But things changed over the weekend when Jansen was married in Curacao. A lot of us joked about it, but apparently it did matter. Katz also talked about getting better deals from other teams but Kenley wanting to be a Dodger. Katz confirmed the offers from both the Nationals and Marlins were “a little better economically” than the $80 million over five years Jansen got from the Dodgers, but that the closer preferred to remain with the only professional organization he has known since signing as a 17-year-old amateur catcher in 2004. Still need confirmation as to whether Kenley saw the masterpiece by Ryan Walton of True Blue LA or not, though. Justin Turner also returned and also likely took a discount, but we’ll probably never know since he seemingly only gave serious consideration to the Dodgers. No surprise then, that Dave Cameron of FanGraphs thinks the Dodgers got a major bargain. So, realistically, given the Cespedes/Fowler/Desmond signings, it feels like Turner should have gotten something like $90 to $100 million in this market. And as Craig Edwards showed in his piece on Turner in November, that’s pretty much what we should expect him to be worth based on recent comparable players. Instead, Turner is getting the same contract as Mark Melancon. Melancon’s a really nice reliever, and the reliever market is obviously a different animal than the market for other players, but the idea that he’s as valuable as Turner, even after accounting for how bullpens are used in the postseason, is indefensible. This isn’t a knock on Melancon; it’s just that Turner is really freaking good. Whether it was because the market still didn’t buy his going-on-three-years-now breakout or because he simply wanted to stay in LA, the Dodgers got a massive bargain. And so now, they get to keep one of the best third baseman in baseball at a price that buys you something like an average player. For the Dodgers, this is basically the best outcome possible. Jay Jaffe of Sports Illustrated concurs that the Dodgers got JT for cheap. But where the big-spending Dodgers paid a top-of-the-market price for their All-Star closer, they appear to have gotten a significant bargain on their third baseman. That model suggests that Turner, who made all of $5.1 million in 2016, might be worth more than $100 million over the next four years even if he can’t live up to his best full season; a deal along the lines of Yoeneis Cespedes’s four-year, $110 million deal from the Mets wouldn’t have been out of line despite the differing perceptions of the two players. Emma Baccellieri of Baseball Prospectus generally seems to concur but does at least point out a concern. In Turner, they get a third baseman who’s found his game in Los Angeles after joining the team as a minor-league signing cut loose by the Mets. He’s posted a WARP of 4.0 or greater in each of his three years with the Dodgers; he maxed out at 1.5 WARP in the five years prior. His greatest red flag is his health, but the Dodgers should know that health better than anyone—and while those injury concerns were perhaps enough to deflate his cost based on what his stats alone might have gotten him, they clearly weren’t enough to take him off the table. The cynic in me is wary that everybody seems to agree that this was an amazing deal. Kinda makes me want to write about what could go wrong … hm. Anyway, JT likely never wanted to leave, as every time he’s been able to choose where he gets to play, he’s picked Los Angeles. No matter what happens, Rich Hill‘s story is an amazing one. However, the Dodgers aren’t paying for the story that’s already done, they’re paying for him to continue that story and hopefully have it conclude with an ending fit for a Disney movie. Dave Cameron at FanGraphs talked about how everybody knows that Hill is a risk, but asks how much of a risk is he really compared to those in the same value range? While the Rich Hill story can’t be told without mentioning how much risk comes with acquiring him, it should also be told in the context of what else $50 million buys you in free agency these days. And the reality is that, in that price range, there are no safe bets. The other free agents that have, or are expected to, sign for about $50 million this winter? Josh Reddick, Ivan Nova, Ian Desmond, Mark Trumbo all ended up around there on our Top 50 free agent list, and I’m not sure any of them are that much safer bets than Hill, quite honestly. Hill might not pitch well for the Dodgers next year. He might not pitch much at all. But for roughly $50 million, the Dodgers are getting a guy who could also be the most productive free agent in this class, and are betting on a guy whose health problem last year was a blister, not an elbow or a shoulder. When talking about this signing, you have to acknowledge what Rich Hill isn’t, but just because he’s not a 200 inning workhose doesn’t mean he’s not worth $50 million. Given what he can do when he is on the mound, this seems like the right balance of risk and reward. Jon Tayler of Sports Illustrated says the Dodgers got what they needed, and despite the risk, they had no other choice. Simply put: Los Angeles needed a starter, and Hill was the best one available. That he is no sure bet to provide anything more than 120 innings is something the Dodgers had no choice but to accept, lest they find themselves trying to sell a fanbase on the joys of watching past-their-prime righties like Jake Peavy or Jered Weaver. But as Fox Sports’ Ken Rosenthal reports, Los Angeles’ front office is apparently comfortable with the idea of pairing whatever they get out of Hill with the bonanza of pitchers it has assembled as depth. Trading for Chris Sale or Chris Archer would be the other route to take, but the Dodgers likely don’t want to pay the price in prospects such a move would entail. For a team that has more money than it knows what to do with, better to give up what you have plenty of for a pitcher you already like and know. It’s easier to make an argument for the Dodgers to take advantage of a rich farm system and make a deal for an ace like Sale than it is to believe that an injury-plagued pitcher in his 30s will continue to defy age and logic with his magic act. But then again, Hill has made a new career off beating the odds. The next great twist in his resurgence? Maybe it’s becoming the pitcher no one but him expected to be. Craig Goldstein of Baseball Prospectus gives the good and the bad. If you’re an optimist, you’re … well, you’re happy. Not just by your nature, but because you like Hill’s chances of staying healthy, making 30-plus starts every year, and maintaining his effectiveness. You like the terms of the deal, because you know that—when healthy—Hill was one of the best pitchers in the game, and gives the Dodgers a similar one-two punch as when Zack Greinke was in LA. You look up I-5, note that the Giants gave Mark Melancon, a closer, just $500,000 less per season (and for one more year) and think “sure, Hill hasn’t pitched a ton, but he can pitch at least as much as Melancon every year.” You wouldn’t really be wrong. If you’re a pessimist, you’re thinking of Scott Kazmir. Kazmir received a comparable three-year pact from the Dodgers, for a similar $48 million. He even got the opportunity to opt out after year one, a piece of leverage Hill will lack and that Kazmir had little incentive to exercise. You focus on how Hill only threw 110 innings last season, and that was by far the high-water mark for his durability since 2008. You note that despite that “durability,” Hill missed about seven weeks due to a blister issue, missed more time with a groin injury, and had flare-ups of other blisters after returning to health. Oh yeah, and he’s now signed through his age-39 season. Given that the only negative thing I can say at this point about the trio of deals is that it’s a bit unnerving how essentially everybody agrees that they made the right moves, it seems clear the Dodgers did the right thing here for both the present and the future (avoided trading prospects to fill needs). The Dodgers are very likely not done yet, but these moves certainly lessen the anxiety about 2017.